 Restaurant dining at 54 on Bath is focused around our very popular Rosebank restaurant, Level Four. The restaurant is headed up by our Executive Chef Matthew Foxon and offers guests a menu which features a bold signature style and distinctive flair, ensuring a mesmerising yet relaxing dining experience. Breakfast, lunch and dinner can either be enjoyed at Level Four restaurant, or in the comfort and privacy of your well-appointed guest room, should you feel like taking advantage of our in-room dining service. We also offer group bookings for those wishing to plan a private dining event in Johannesburg. Whether a business lunch, a relaxed dinner, or a celebratory event, our aim is to make every meal a memorable occasion. Enjoy a delectable Afternoon Tea served daily from 14h30 to 17h00, with a choice of English tea sandwiches, freshly baked scones, pastries and premium tea leaves. Reservations require a minimum of 5 people.